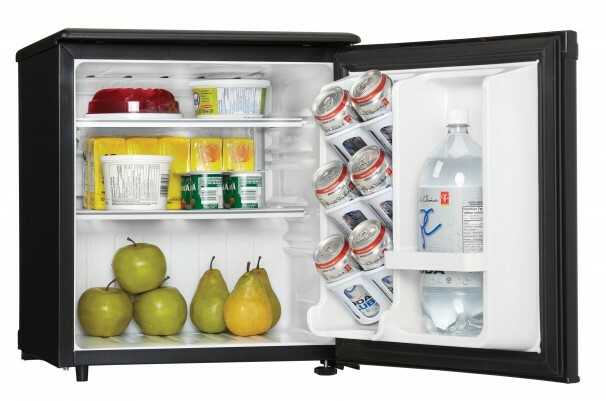 A compact refrigerator is ideal for smaller areas such as student dormitories, wet bars, apartments and condos and there’s none better than this stunning model by Danby. This stylish countertop unit serves up 1.7 cu. 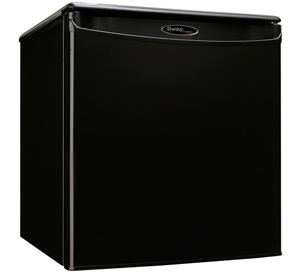 ft. (49 L) of refrigeration space and features a handy third-generation CanStor beverage dispenser. In addition, there’s plenty of room for tall bottles and the smart scratch-resistant work top is excellent for storing accessories. Your electricity bills will be kept in check since this unit is Energy-Star compliant and the automatic-defrost system keeps it running like a charm. 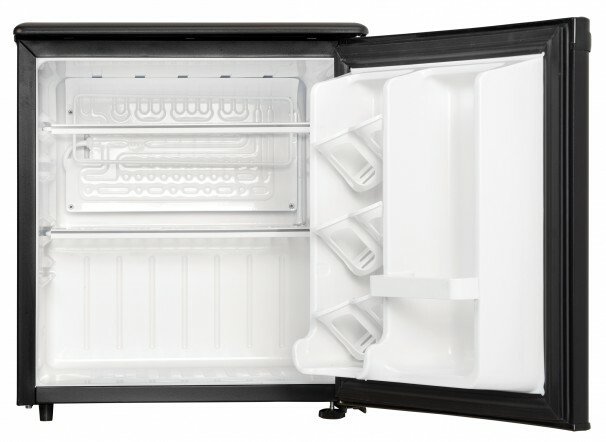 This model also comes with a mechanical thermostat as well as 1.5 strong wire shelves which allow for maximum storage space. 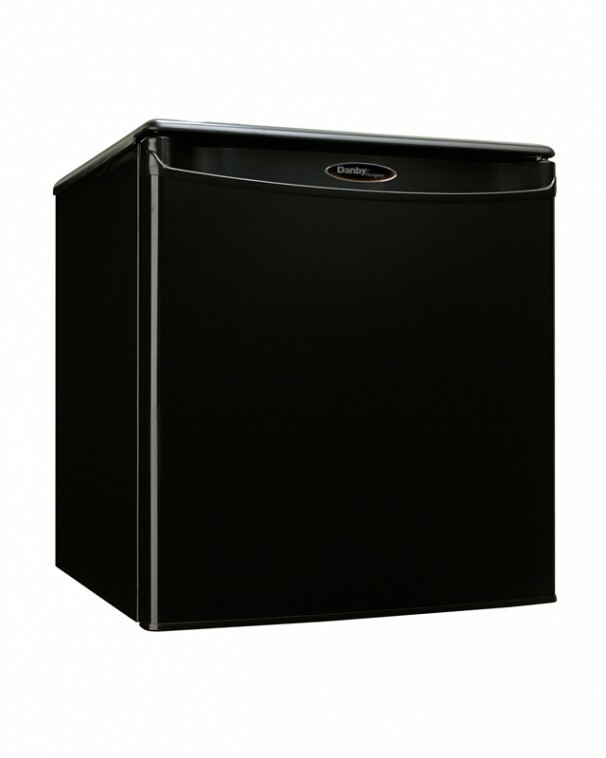 The convenient reversible door swing makes this the ideal fridge for both left and right-handed users and it features an integrated door handle and smooth back design. What makes this appliance even more attractive is the 18-month warranty on all parts and labour.